Suitable for schools and labs requiring general accuracy only. 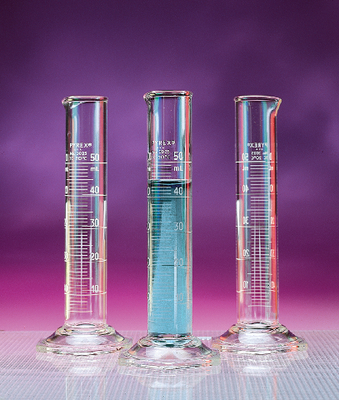 The double metric scale includes one reading down from top line and the other reading from bottom of cylinder to top line. Reduced tendency to tip due to relatively short height. Bumper guards not included. Ordering information: Bumper guards available separately. Contact your sales representative.